We offer shower cubical - vintage or Square Shower Cubicle, which is one of the demanded, modern shower bathing systems. It has transparent appearance, but also provides a safe space for bathing. The indistinct vapors provide the feeling of a romantic fog in the early morning, while bathing. The model Vintage of the square shower cubicle is available in 900 x 900 x 2000 (mm). It has the classic design, and it can be easily installed in the bathroom. 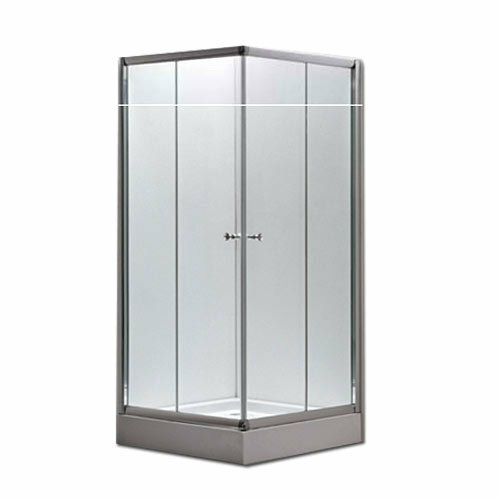 We also offer the shower cubical in other models including Colombo, Colombo Plus, Fusion, Fusion Plus, Wintex (New), and Rossi (New). Our bathing solutions are an ideal grouping of innovation, comfort, convenience, & top-class engineering. These are offered in different models, to cater to the diverse bathing requirements of our clients. All models of our massage bathtubs, Multifunction sauna rooms, spa, massage bathtubs, steam rooms,shower panel, wooden bathroom cabinets, massage jet shower panel,bathroom cabinets, steam shower rooms, bathroom shower cubicle, steam shower cabinet, bathing solutions, steam shower rooms, steam showt, massage tubs, Encloser , shower panels, massage jet shower panel , bathroom cabinets, Body jets etc are in conformity with ISO, CE, 3C, and ETL certifications. A Private Ltd. Co, we also provide complete safety assurance of our products, with triple protection systems. In addition, we offer customized sauna, steam, and whirlpool solutions to our clients. The bathing solutions are offered on the basis of current condition of the bathroom, which includes its space, size, style, and structure. For the benefit of our customers, we provide user manual with our every bathing system. This enables them to properly use the product and enjoy a relaxing bath. In addition, we also provide installation support for to the customers, for our bathing systems & bathroom cabinets.